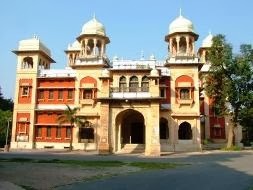 The Allahabad University has proposed an insurance policy to cover every student against injury caused in an accident or ailments that cannot be treated or controlled by the doctors of university's health centre. The students can avail this benefit from the next session paying a modest premium of Rs 74 at the time of depositing fee. However, the decision on the premium amount and mode of payment is yet to be finalised in the next meeting of the Academic Council. The university authorities had invited tenders from various insurance companies last year seeking the required premium amount for the policy. This idea of insurance came after the realisation that the financial assistance provided by the Dean Student Welfare office in case a student meets an accident or requires assistance, often proves insufficient to cater the treatment needs.